Cisco Systems Company Information Is this your company? Add your own content to this page. 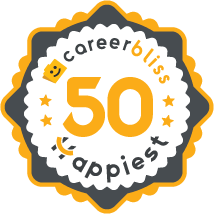 We've calculated that the average salary at Cisco Systems is $91K based on 4,534 user-submitted salaries A total of 1,069 Cisco Systems employees gave Cisco Systems an average happiness rating of 4.0 out of 5.0. 372 Software Engineers from Cisco Systems submitted salaries. 4.5 Cisco is a great company to work for and afforded me many opportunities to grow my career both internally and externally. Their training programs and the experience/level of individuals that work with you on a day to day basis is one of the main reasons I worked there for so long. I would highly recommend them as both a starting career and as a long term growth opportunity. 3.3 I have worked at Cisco Systems since June 2011. The culture is great and the people are great. Also, I really like Cisco's emphasis on customer-driven innovation! The only negatives are the same as most large, bulky companies. Slow decision making and slow to adapt. Also, Cisco has had three or four layoffs in the past decade. 3.7 Cisco was overall a good company to work for. Though they were overly eager to use contractors, which meant a lack of benefits, they had a great company culture and an environment of openness and acceptance of all diverse cultures, beliefs, etc. However, the company has the worst physical and digital organization I've ever seen. This could be simply the department I was working with, but document storage and retrieval was very convoluted. Also, communication needs improvement. The concept of solutions being driven to address specific customer challenges has been with Cisco since its inception. Husband and wife Len Bosack and Sandy Lerner, both working for Stanford University, wanted to email each other from their respective offices located in different buildings but were unable to, due to technological shortcomings. A technology had to be invented to deal with disparate local area protocols; and as a result of solving their challenge - the multi-protocol router was born. It's an exciting time to work at Cisco. Here at Cisco, we believe the most important change to the network experience is upon us. We see a future where the network is the platform. Cisco is an equal opportunity employer with a commitment to diversity. All individuals, regardless of personal characteristics, are encouraged to apply. Cisco is an equal opportunity employer with a commitment to diversity. All individuals, regardless of personal characteristics, are encouraged to apply. Our corporate social responsibility (CSR) programs are designed to provide long-term benefits to our employees, customers, shareholders, partners, and individuals in communities around the world. We focus on three main areas: employees, environment, and social investments.